Resting comfortably, in a manila folder in my office, is an intriguing and much-talked-about document. Unfortunately, I cannot show it to you. Entitled “Power Purchase Agreement by and between Public Service Company of New Hampshire d/b/a Eversource Energy as Buyer and Hydro Renewable Energy Inc. as Seller,” it is the contract through which Eversource claims to have snagged for its New Hampshire customers some tangible financial benefits from its controversial Northern Pass transmission project. The deal now has the dubious distinction of having been rejected twice, first by the Public Utilities Commission and, most recently, by the Legislature. Eversource might quibble with my characterization of what happened at the State House. Officially, the House Science, Energy and Technology Committee voted on May 9 to retain Senate Bill 128. Had the House followed the Senate’s lead in adopting SB 128, the governor would likely have signed the bill and, with the stroke of a pen, the Power Purchase Agreement would be permissible under New Hampshire law. The PUC had ruled it couldn’t even consider such a deal because it is inconsistent with the state’s electric industry restructuring law. Eversource sought to spin the refusal to report the bill out of committee as a victory. Bill Quinlan, president of Eversource’s New Hampshire operations, said stressed that the committee could take up the bill later this year and report it to the floor at the start of the next legislative session in January. That’s true enough. But it means there’s no way the Power Purchase Agreement could gain approval in time to influence the Site Evaluation Committee as it considers whether to grant Northern Pass its land-use permit. The SEC’s hearings on Northern Pass wrap up in three months. Those “benefits of the PPA” are claimed entirely on a trust-me basis. That’s because Eversource is taking advantage of the PUC’s confidentiality rules to keep the terms of the PPA a secret. As the official advocate for residential utility customers, the Office of the Consumer Advocate has an unredacted copy of the PPA. We have the redacted portions of Eversource’s written testimony analyzing the terms of the deal. And we have a copy of the detailed analysis Eversource commissioned from London Economics International with all the secret stuff included. We just can’t share this information or talk publicly about it. We can’t share it with you because the statute also says that as long as the PUC treats the information as secret we must too. Ordinarily, this system works pretty well. We receive everything the utility has, which allows us to prepare for hearing. The confidentiality questions are deferred to the end of the case. Since the purpose of the Right-to-Know Law is to help the public understand what the government is up to, it makes sense for the PUC to resolve what’s public and what isn’t through the lens of what evidence in the record forms the basis of what the PUC actually decided. In this situation, the PUC’s decision that the PPA is legally impermissible may or may not be appealed. The Legislature’s decision not to take up the question may or may not be revisited. Meanwhile, as the Northern Pass hearings at the SEC reach their critical juncture, Eversource and Hydro Quebec talk about the benefits of their PPA without having to prove what those benefits are. And we, tasked with skeptically assessing those benefits on behalf of the customers who will allegedly receive them, are completely muzzled. The PUC should depart from its customary practice and rule now on the long-pending motion for confidential treatment of the unredacted PPA. Longstanding guidance from the NH Supreme Court says a balancing test applies; the PUC must decide whether the privacy interests of the parties to the PPA outweigh the public’s interest in disclosure. Even if you buy the claimed privacy interests (which we do not, given the unique circumstances of the deal), this is surely that rare case in which the public has such a compelling interest in disclosure that denial of the confidentiality request is warranted. More fundamentally, this is a job for Bill Quinlan. He should know it’s time to convince his superior officers at Eversource headquarters, and his counterpart in Montreal, that they should go public with the terms of this deal. 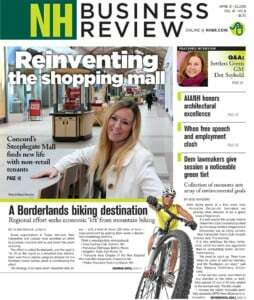 Merely building Northern Pass secures nothing definitive for New Hampshire because, apart from that 100 megawatts in the Eversource PPA, Hydro-Quebec plans to sell all of the power that will flow via Northern Pass in Massachusetts to satisfy aggressive requirements there for renewable energy. There is nothing competitively sensitive about this deal – it’s a classic one-off. In its redacted form, the PPA is nothing but a publicity stunt. D. Maurice Kreis is New Hampshire’s Consumer Advocate.